if you need it to: book your driving test or change your driving test appointment. DVSA updated its official question bank for cars. There are 137 changes, the main one being that there are no multiple selection questions in any category – all multiple choice questions have moved to single option answers. The wording of the questions, answers and supporting information has been changed. The show and tell questions still have multiple selection as these are designed to teach you what an examiner is looking for when they ask you about your car. To practice the car theory tests for free, click here. This actually makes the test much easier to pass as those 137 questions now have (in general) one very obvious answer. Good luck with your studies! WARNING! There are some sites that charge ( approx £30) admin fee for booking your test please make sure the site is the DirectGov site or you could pay much more for your driving test. If your not sure call me you should only pay for the test. WARNING: Always use the official DSA site to book a theory test as some sites charge an admin fee on top of the normal charges. the DSA do not charge admin fees and is looking to stop such sites from operating. Official 2017 DVSA guide to what happens during the theory test and what it takes to pass it - including the multiple-choice question and hazard perception parts. The aim of the theory test is to make sure you understand the rules and safety points of driving. You should prepare as much as possible before you sit the test, as you will not be able to take your practical test until you have passed. The test is in two parts. You will have 57 minutes to complete the 50 multiple choice questions which will cover up-to 12 of the topics below. and the pass mark is 43 out of 50. During the test, the screen shows which of the 50 questions you are currently answering, and how much time you have remaining. You can change your answers. A review screen tells you how many questions you have completed, any incomplete answers (i.e. not enough choices marked), and which questions you have 'flagged' to return to later. Candidates receive their test results, and feedback information about errors within 30 minutes of finishing the test. If you prepare well you have an excellent chance of passing. You should arrive at your test centre 15 minutes before your test. If you arrive once the test has started you will not be allowed to sit the test and will lose your fee. (For lorries and buses the pass mark is 50 out of 75). Candidates will be asked to indicate as soon as they see a hazard developing which may result in the driver taking some action, such as changing speed or direction. The sooner a response is made the higher the score. Your driving instructor can advise you when to apply for your theory test. You need to take this before you can book a practical driving test. The information below is a guide and you should check with your instructor, for any changes. 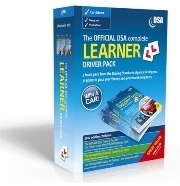 The Theory Test Current prices Please see the DSA websiteYou can have your results When you finish the test. Your driving school, instructor, or local test centre should have an application form, although you can book your test over the phone if you have a credit card. Both your theory and practical test must be booked in advanced, and 'after' you have your provisional licence. Your personal details (Name, Address, Post code, Date of birth, Telephone number) . Type of vehicle (Car, Motorcycle). Your choice of test centre location. A test date and time will be given, which may be changed if its unsuitable. PLEASE NOTE: >>>> You must give a least 3 working days notice to cancel your test. The ONLY official Driving Standards Agency app to help you prepare for the multiple choice part of your theory test on the go, in a simple and convenient way. Written by the people who set the tests - who better to learn from? All you need to do is register, which is simple and free. Registration will provide free access to two Car,and to two Motorcycle, theory tests. FREE Theory test that can be found on the Internet.